Passport 10G Monaural Noise-Canceling Headset with QD1026G Headset Cable Bundle is a high quality, professional grade monaural headset for contact center use. 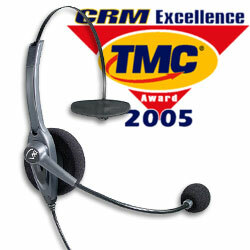 The included headset is designed to provide easy integration into call centers utilizing GN Netcom quick disconnects. Passport headsets use the same impact-resistant plastic used in sports equipment to withstand the intensity of the 24/7 center.